Last Friday the 15th of June, workers and community members across Victoria came together to celebrate wind power, and all the jobs, drought-proof income and action on climate change it represents. Members of Yes 2 Renewables hit the road to visit the Victorian township of Rokewood between Geelong and Ballarat, where local landowners and other community members gathered together in the local solar-powered pub as part of celebrations for Global Wind Day. It was a great night with lots of interesting conversations about what renewable energy means to the local community. A total of thirty-nine landowners have signed up to host wind turbines as part of the Golden Plains wind farm, a 800-1000 megawatt project proposed for the area that would be the largest in the country. That’s enough energy enough to power more than 500,000 Victorian homes. Put another way the Golden Plains wind farm would be capable of producing the equivalent of somewhere between 1/4 to 1/3 of the average annual output of the recently closed Hazelwood coal-fired power station. It’s estimated doing that would save more than 3.5 million tonnes of carbon emissions annually by reducing reliance on fossil fuel generation. With Victoria’s Renewable Energy Target of 25% by 2020 and 40% by 2025 now written into law, projects like the Golden Plains wind farm will make a significant contribution to shifting the state towards clean, renewable energy. The project represents good jobs, business opportunities and drought-proof income for farmers in the local area, and action on climate change for everyone. According to Gisborne-based developers WestWind, it’s expected the wind farm will create 400+ direct jobs, 1200+ indirect jobs and 50 ongoing jobs once operating. 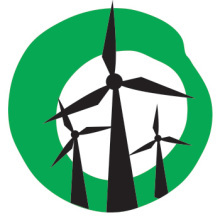 The proposed wind farm also includes a number of community benefits, including free electricity for residents living near the wind farm, a neighborhood benefit sharing scheme, opportunities for the local community to invest in and own part of the project, and a community benefit fund. Yes 2 Renewables will be following the project closely, and continuing to engage with local community members who support renewable energy to make sure their voices are heard. The Golden Plains wind farm is currently going through the planning process, with submissions to the Environmental Effects Statement (EES) closing today, and a hearing beginning next month in Geelong. We encourage you to make a submission and have your say — it’s important the planning panel hears from community members who support renewable energy.